The Grey Bruce Labour Council is pleased to endorse progressive candidates across our region. The endorsed candidates are not necessarily the only socially progressive candidates in our region, but they are the people that the Grey Bruce Labour Council is aware of. The Labour Council looks forward to seeing the endorsed candidates and all candidates act on behalf of all people in their communities. This entry was posted in Uncategorized on September 24, 2018 by greybrucelabour. The September regular monthly meeting of the Grey Bruce Labour Council will be held on September 24th, 2018 at 1717 2nd Av E (OPSEU Office). Regular meeting, 7PM, Executive 5PM. This entry was posted in Uncategorized on September 15, 2018 by greybrucelabour. This entry was posted in Uncategorized on September 11, 2018 by greybrucelabour. The Canadian Union of Postal Workers is launching its national campaign Saturday night in Saskatoon. It’s called Delivering Community Power and it looks at how Canada Post can address climate change, while tackling social inequalities. Some of the ideas include electric charging stations at post offices, converting the postal fleet to made-in-Canada electric vehicles and having mail carriers check up on seniors and those with limited mobility. The guest speakers at tonight’s event include the national president of CUPW, Saskatoon-West MP Sheri Benson, Nancy Greyeyes from Idle No More and Justin Fisher with Climate Justice Saskatoon. There will be a panel discussion and then a film screening of ‘Maden in Dagenham’ about the women who fought for and won equal pay for women in the U.K. It begins at 8:15 tonight at the Broadway Theatre. This entry was posted in Uncategorized on September 9, 2018 by greybrucelabour. OWEN SOUND – OPSEU members at the Owen Sound Family Health Organization have ratified a collective agreement that provides decent wages and working conditions that will ensure quality family health care in Owen Sound and across Ontario. The doctors who own the clinic are scheduled to vote on the agreement Thursday. “These workers, who are almost all women, have won an astounding victory against overwhelming odds,” said OPSEU President Warren (Smokey) Thomas. “With strength and solidarity, they stood up against some of the most powerful members of their community because they knew they were right and they knew they were fighting for something bigger than themselves. The OPSEU Local 276 members went on strike on May 22 because the doctors who own the clinic were offering laughable wage increases after four years of frozen wages. The doctors also refused to address precarious and toxic working conditions, and were demanding that the members accept claw backs to their retirement contributions. But in the new four-year agreement, the doctors addressed many of those concerns, providing substantial wage increases, no pension claw backs, and significantly improved job security. “If these brave members hadn’t gone on strike, the owners would have got away with squeezing more and more profits out of the workers and, ultimately, out of the patients,” said OPSEU First Vice-President / Treasurer Eduardo (Eddy) Almeida. “This isn’t just a victory for workers. It’s a victory for every adult, senior, and child in Owen Sound. The workers could be back on the job as early as Sept. 10. “Strikes are never easy, but they’re always important. I’d like to extend sincere thanks to the people of Owen Sound for their respect and encouragement through this,” said Thomas. This entry was posted in Uncategorized on September 5, 2018 by greybrucelabour. The Grey Bruce Labour Council is again reflecting on the day that was. Labour Day 2018, as with all Labour Days gone by and all Labour Day celebrations anywhere, is the day when workers are not called upon to give of their time to march, picket or picnic, but instead are called upon to celebrate their contributions to the well being of all people by doing any or all of the above. 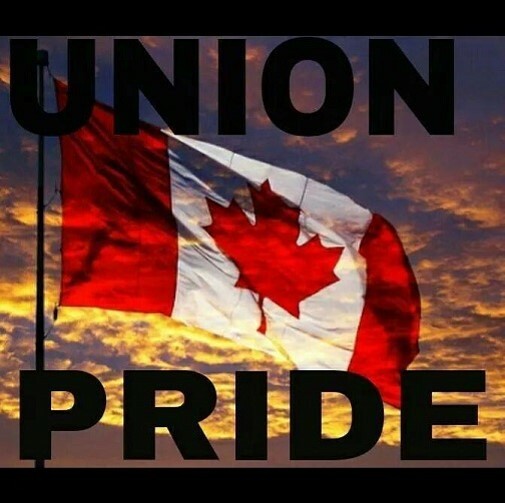 In the Grey Bruce region we are profoundly blessed to have many active unions and union members. However, it is not only this that underlines a day of celebration, but it is our communities, our support from the media and the people giving of themselves in all manner of volunteer contributions that improves their communities. Thanks to the collaboration with the Unifor Retirees Chapter, Unifor and Labour Council Affiliate Unions such as OPSEU, PWU, SUP, CUPE, OSSTF, OECTA, ETFO, our Sisters and Brothers in Building and Construction Trade Unions and friends in the Pride and NDP community, as well an organizing committee from the Labour Council and Unifor/Unifor Retirees Port Elgin ON is the site of one of Ontario’s largest and most inclusive demonstrations that Labour and Community are strong and will ‘fight back when the world according to Premier Ford says cut back”. The Grey Bruce Labour Council is proud of our community, those that stand up for their rights and those that strive for social justice. In addition, the Grey Bruce Labour Council wishes to publicly thank all those that organized, participated and supported the very successful Labour Day Parade in Port Elgin. In addition, we look forward to an ever improving and expanding day as we move forward with an agenda where workers and their needs are a priority on every legislative agenda. This entry was posted in Uncategorized on September 4, 2018 by greybrucelabour.